Business aviation draws aspiring pilots and aircraft maintenance technicians, but beyond the more well-known career paths, there are a myriad of employment opportunities within the private jet industry. 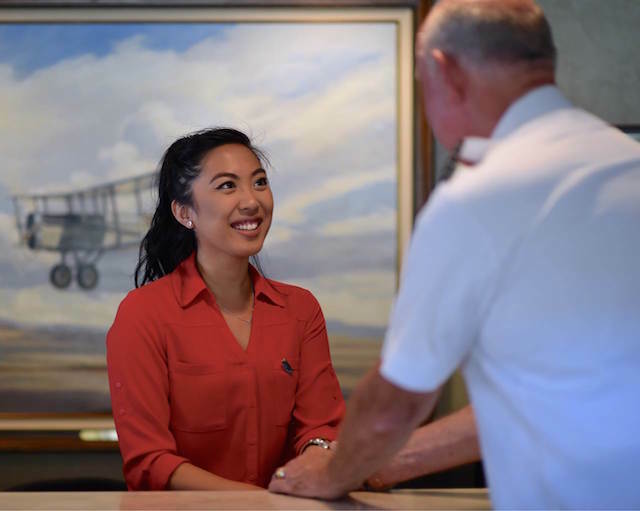 Many who exhibit an affinity for aviation, luxury travel, customer service, or sales may not realize the less publicized professions within the industry. Relationships and teamwork are foundational to the success of the individuals and companies in private aviation. Although many job roles, like that of private cabin attendant, are very autonomous in theory, it is the team of ground staff, flight professionals, and dispatchers who, together, create an exceptional flight experience for clients and owners. The majority of career paths within private aviation are highly focused on personality and people. For Kenny Ritzman, a Ground Attendant at Clay Lacy Aviation, he enjoys the team-aspect of the working environment. “I like how I am exposed to various parts of the operation and have the chance to work with all departments,” says Kenny. For those who enjoy the aviation industry, but do not desire to travel extensively, there are many options. The business aviation industry needs accountants, IT professionals, safety coordinators, marketing staff, sales teams, human resource directors, schedulers, dispatchers, aviation attorneys, mechanics, avionics technicians, customer service professionals and more. Want to expand your horizons with a career in private aviation? Visit Clay Lacy’s Careers page to see what opportunities are currently available.